Found successful victory by the sword. To the Two Hundred Male and Seventy Female Martyrs. And seven times ten women were killed. 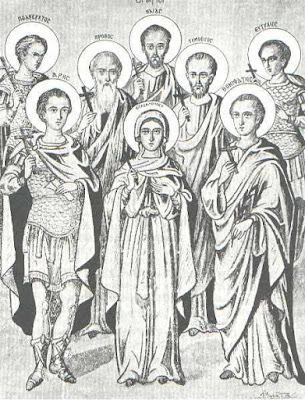 We do not have any information about these Holy Martyrs, except that they were martyred by means of a sword, probably by beheading.